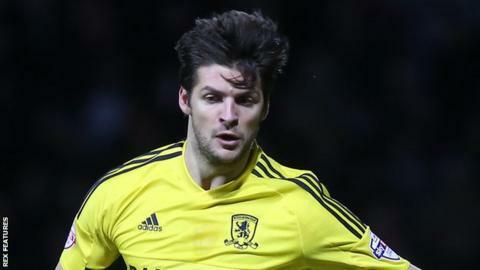 Middlesbrough defender George Friend will be out for approximately four weeks after fracturing a shoulder. Friend, 28, was withdrawn during the 1-0 defeat by Nottingham Forest on 23 January after landing awkwardly. Former Doncaster and Wolves full-back Friend has missed just one league game this season, scoring once. Boro are already without centre-back Ben Gibson with a hip injury, who can also play wide, while full-back James Husband is on loan at Huddersfield.